As a law student, Mr. Elias was always eager to get in the courtroom. Capitalizing on a court rule that allows students to make appearances under attorney supervision, Mr. Elias spent his time out of the classroom representing juveniles in delinquency proceedings as a member of the Rutgers Law Children’s Justice Clinic and defendants in all stages of criminal proceedings as an intern for the New Jersey Office of the Public Defender. After graduating in the top 15% of his class, Mr. Elias served as a law clerk to the Honorable Robert J. Mega in Union County, where he had a ringside seat to some of the most accomplished criminal attorneys on trial. Mr. Elias then went on to serve the Burlington County Prosecutor's Office as an Assistant Prosecutor in the Grand Jury/Case Screening Unit, where he was tasked with evaluating, investigating and ultimately presenting hundreds of cases to the Grand Jury for indictment, ranging from simple charges of Shoplifting and Drug Possession to more complex, multi-defendant and multi-count indictments charging serious crimes such as Identity Theft and Armed Robbery. Mr. Elias was later employed by the top auto insurer in New Jersey and assigned to a heavy caseload defending his clients against claims of property damage and catastrophic bodily injury. Mr. Elias quickly gained valuable experience in all aspects of personal injury litigation and has never lost a jury trial to date. 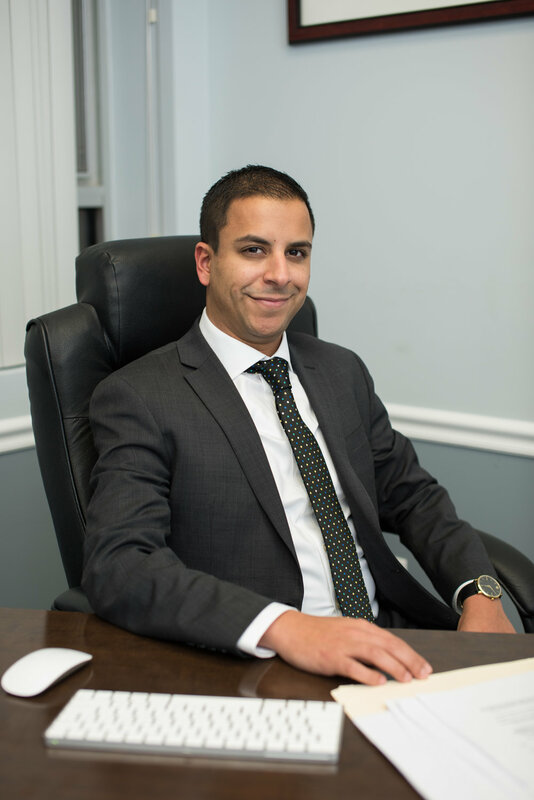 With experience working for both the government and the insurance industry, Mr. Elias is well-qualified to confront the most challenging legal issues confronted by his clients. Mr. Elias is an active member of the Coptic Orthodox community in New Jersey and is also conversational in Arabic.